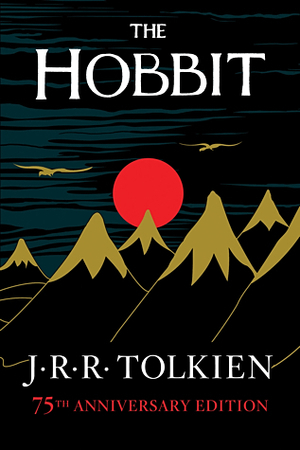 More accessible than LOTR and containing more humor The Hobbit is the perfect entry into the world of Middle Earth. This novel truly takes you to a new land. It is full of adventure and creatures that will continue to pull you further into their world. It's truly hard to review a classic, since there's typically a reason why they're considered such. Most don't reach that status by being bad books, and Tolkien's The Hobbit is no exemption to that rule. It's charming, thrilling, emotional, and enjoyable all at the same time. Where Lord of the Rings has sometimes dense areas of prose, The Hobbit has flowing poetry that's sure to produce a child-like giddiness. If you haven't read it yet, there's no reason not to. Pick it up and give it a try.